The Walt Disney Animation Studio has such a storied history of screen classics, it's nearly impossible to fully consider the artistic roller coaster ride the company has endured since Walt introduced the world to the miracle of feature-length animation back in 1937, with "Snow White and the Seven Dwarfs." The Mouse House has enjoyed great success and its share of humiliating failures, but somewhere in the mid-1980s, all hope was lost. Disney Animation was about to vanish for good. Beaten into submission by plunging box office grosses, uninspired creative endeavors, and difficulties merging the old animation guard (the famous "Nine Old Men") with the new kids on the block, Disney Animation was in dire straits in 1985, having witnessed their latest offering, the winningly sinister "The Black Cauldron," beaten at the box office by "The Care Bears Movie." 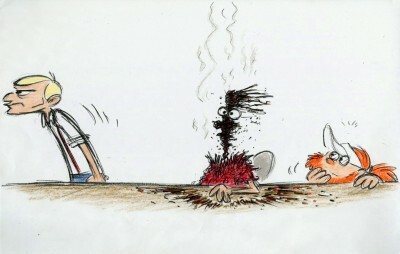 The picture lost millions for the studio and effectively killed morale amongst the animators. "Waking Sleeping Beauty" is an insider documentary from longtime producer Don Hahn, chronicling the delicate post "Cauldron" years, when Disney shaped up, refocused its priorities, and proceeded to conquer Hollywood with a string of hits that redefined animation, reinforcing Walt's legacy (and earning potential) for eons to come. Startlingly, "Waking Sleeping Beauty" isn't a talking heads documentary reheating leftover war stories from the usual suspects, polishing the trophies and self-congratulating itself into a coma. 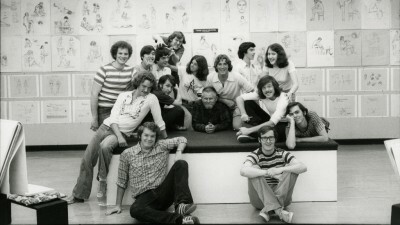 What Hahn has here is video footage, tons of it, dating back to 1980, when the next generation of animators (most from the nearby school CalArts) stormed the studio gates eager to leap into Disney history. Instead of weathered faces recalling the past, we see actual footage of the formative years in question, basking in the glow of impetuous office behaviors and youthful monkey business, with future legends John Lasseter and Tim Burton mingling in the group, blending into a sea of gifted artists excited to further the Disney way. How that unique way was solidified is another story, requiring the introduction of suits Michael Eisner, Jeffrey Katzenberg, Frank Wells, and Peter Schneider, who raided the castle at Roy E. Disney's behest, ready to restructure the brand name using their slick Hollywood hubris; the frosty side of business, alien to the animators and their sensitivities. The rebirth began with "The Great Mouse Detective," worked its way to "Oliver & Company," and settled into "The Little Mermaid." The fish fantasy exploded to such a degree, everyone was ready to assume credit for the work, angling to be the face of the new Disney as it picked itself off the ground, dusted itself off, and proceeded to bang out hits with a frightening ease. That sustained note of ego forms the spine of "Waking Sleeping Beauty," which submits a shockingly honest take on the golden years of the company, underlining the creative combustibility of the group. While the animators are given their due (often working their frustrations out through caricature), and Hahn makes for an emotive and insightful narrator, the thrust of the picture remains with the executives, who fought over hierarchy and camera time, helping to guide the business, but with an eye toward their own press. Being the man in charge of the animators, Katzenberg receives the most delicate treatment, reflecting a puzzling time when his power and input wasn't always welcome in the creative sector. Roy Disney isn't treated with kid gloves either, with startling footage included of the man at his most crudely demanding, culminating in a brief scene where Roy half-jokingly requests a more celebratory introduction from a teary Eisner at Wells's 1994 funeral. It's a priceless moment of naked behavior that Hahn wisely ceases to reinforce with narration or editing. Once "Beauty and the Beast" arrived in 1991, the studio was ready for the spotlight, collecting awards, monster box office returns, and encouraging carpal tunnel syndrome, as animators were pushed to their physical limits to make Disney's yearly release schedule. Admittedly, the same story of wistful irritation was documented in the 2005 short, "Dream on Silly Dreamer," yet "Waking Sleeping Beauty" doesn't make much room for sour statements, preferring to let the mood of the footage speak for the company mindset. There's not a vague emotion here, and the arc of corporate and artistic frustration is clear as a bell, beautifully charted with a plethora of footage that paints an undeniable picture of joy and exasperation. With "Aladdin" and "The Lion King," Disney Animation reached a perilous plateau of success that could never be sustained, succumbing to the infighting between Katzenberg and Eisner, along with the expanding egos of the animators themselves, who ceased to be motivated by wonder, intoxicated by the number of zeros in their paychecks. It's not a scandalous story, but "Waking Sleeping Beauty" delves into a riveting dark side, contrasted superbly with the cheery facade of colorful characters and fairy tale endings the studio was churning out. And then it all ends. The documentary halts after Katzenberg's resignation, leaving the next chapter of the Disney Animation saga, where everything more or less fell apart, unspoken. 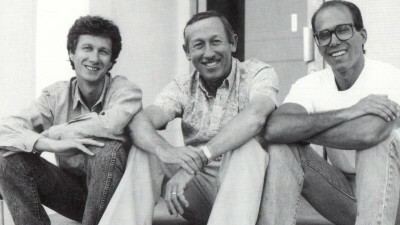 I suppose this is by choice; by the release of "Pocahontas," the band had pretty much broken up, leaving Hahn in a difficult position to either cram in the sorrow and the failure or end with the titular princess in the ready position, accurately reflecting the era the documentary seeks to appraise. "Waking Sleeping Beauty" is a righteous effort to compile the feelings and dreams of an animation generation, gracefully communicated through astonishing footage of the workers and the moneymen with their guard down. It's a must-see for any Disney purist, but is also an emotive, stunningly valuable documentary in its own right. Buy tickets to "Waking Sleeping Beauty" now!